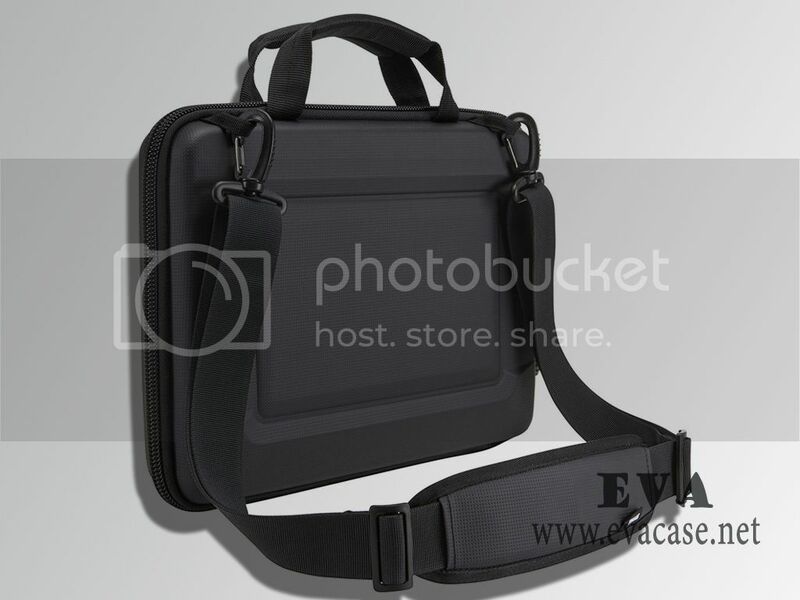 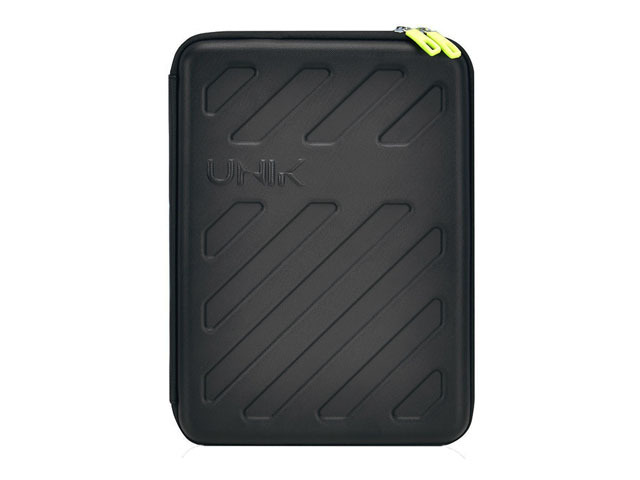 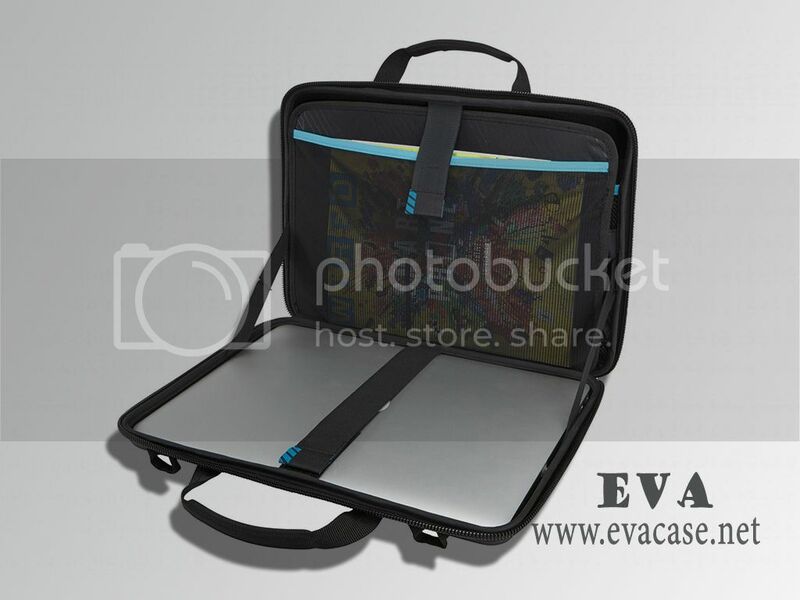 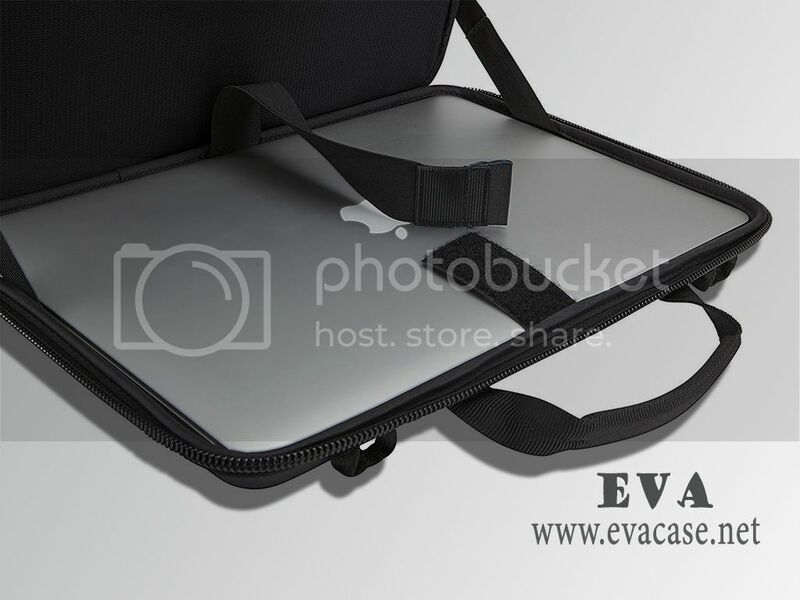 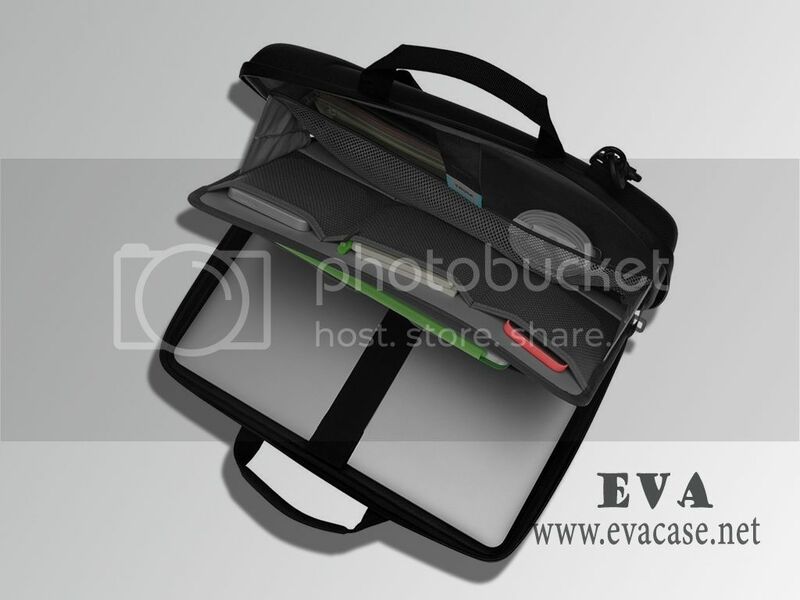 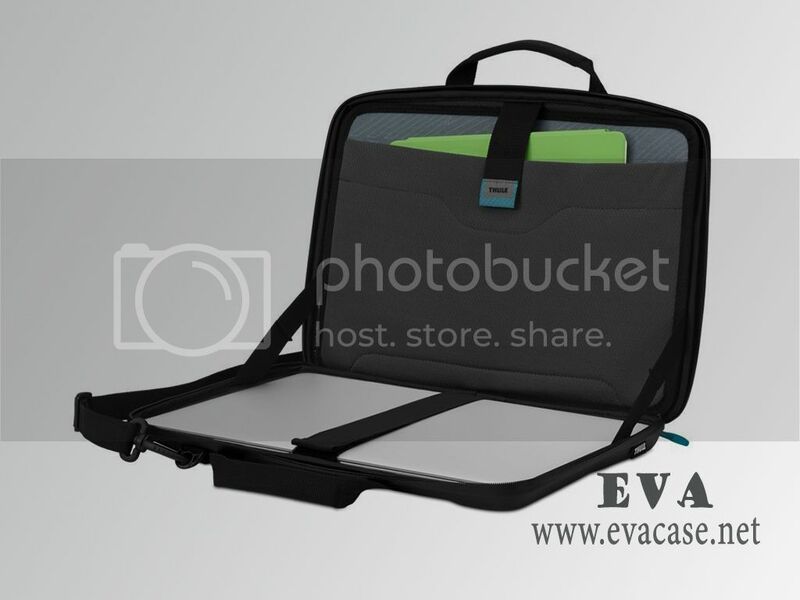 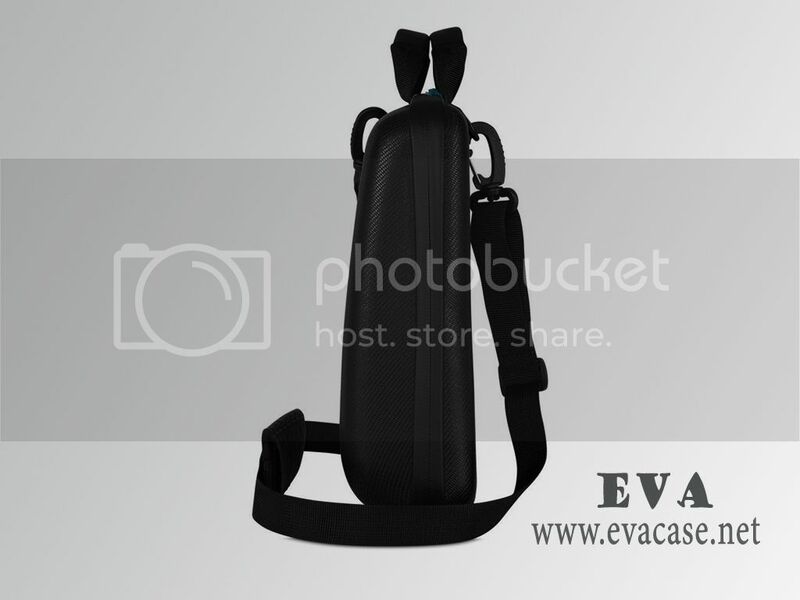 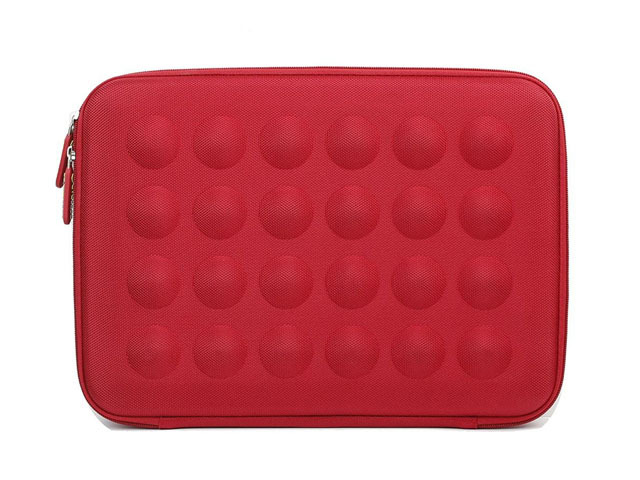 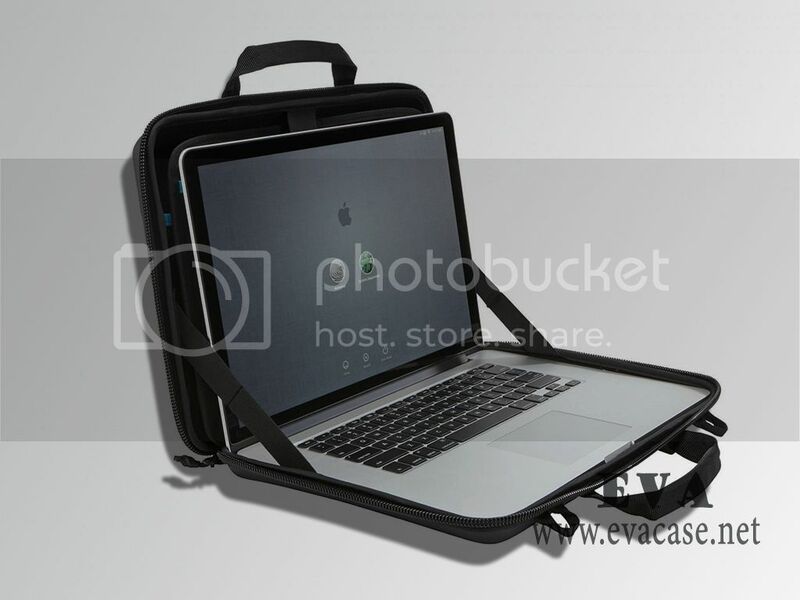 This hard shell laptop case was made from high density hard shell EVA with Polyurethane coated; it is the great help to protect the computer, laptops, notebooks, MacBook or some other accessories from damage while traveling or home storage! 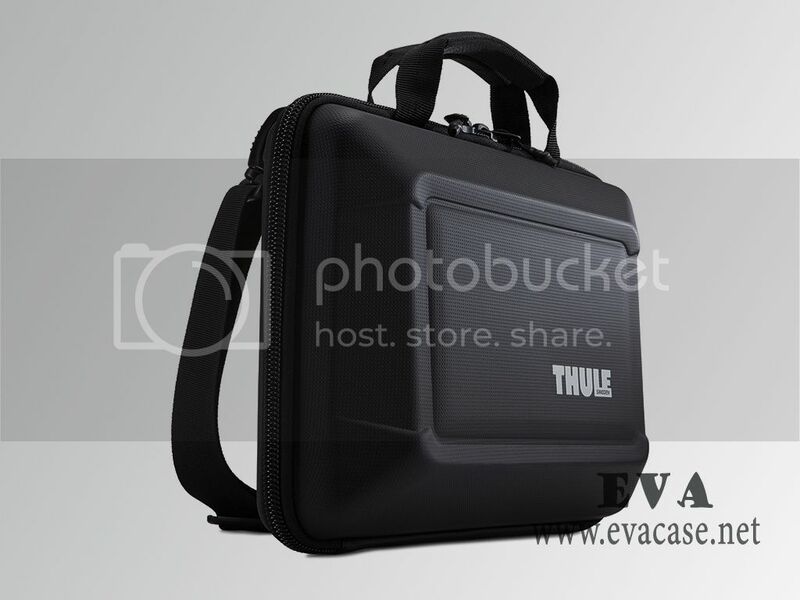 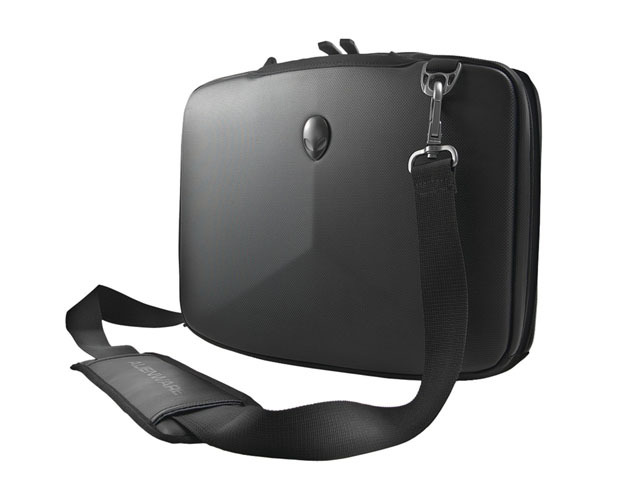 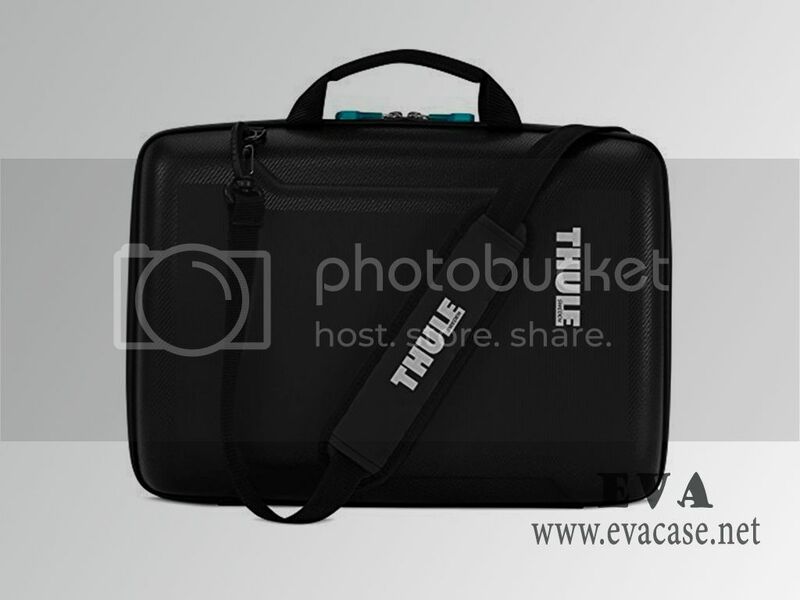 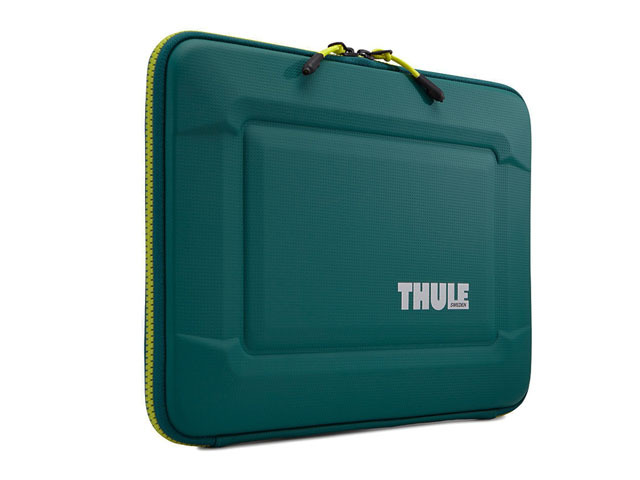 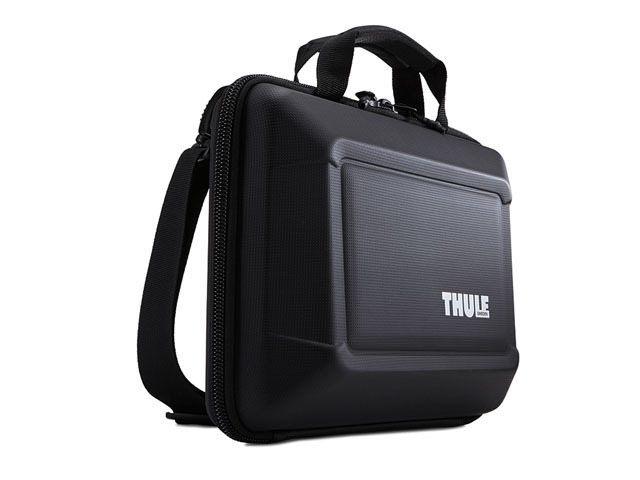 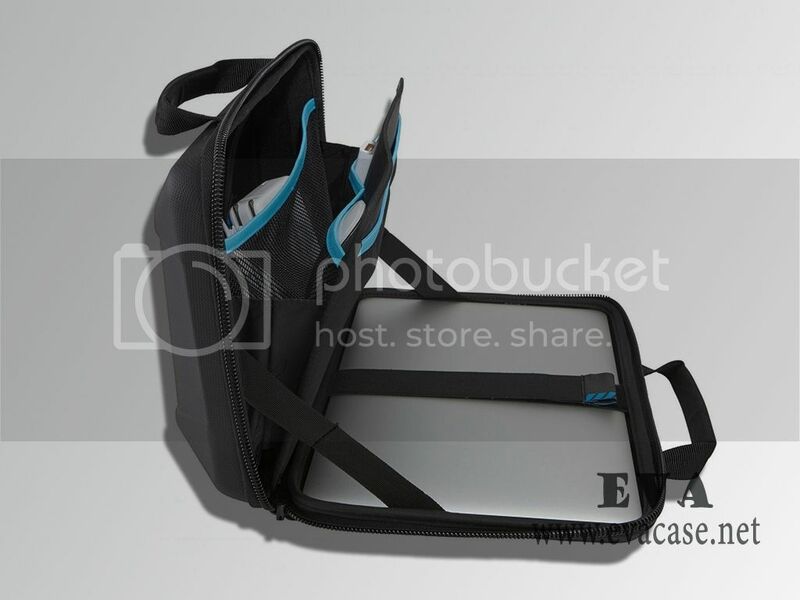 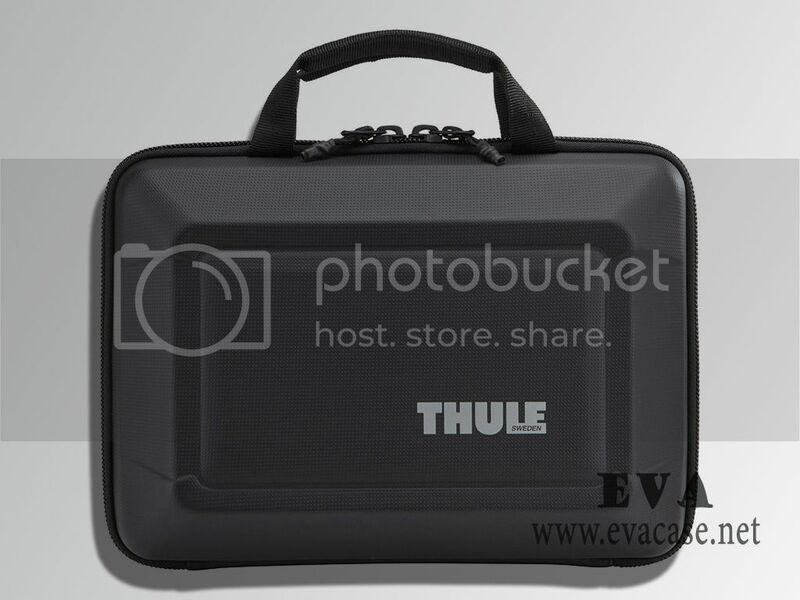 The hard shell Cover Holder Protector case for laptop was produced for THULE; with Polyurethane coated and adjustable nylon shoulder strap, internal mesh pocket for accessories; conveniently keep your laptop in good condition and protection! 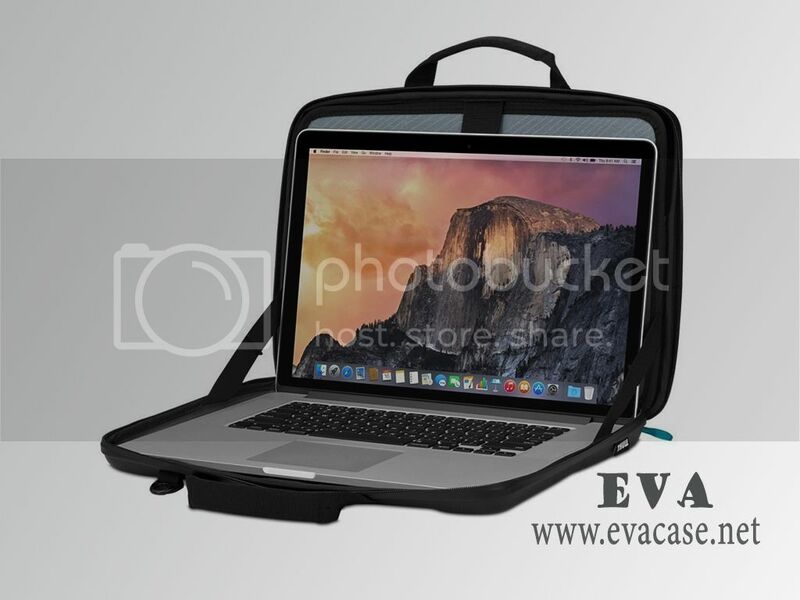 If you need custom design hard shell laptop cases online, or need a fast quotation for custom hard shell laptop case, please send e-mail to us, we will calculate the packing carton size and the freight cost for hard shell case for laptop based on your demand! 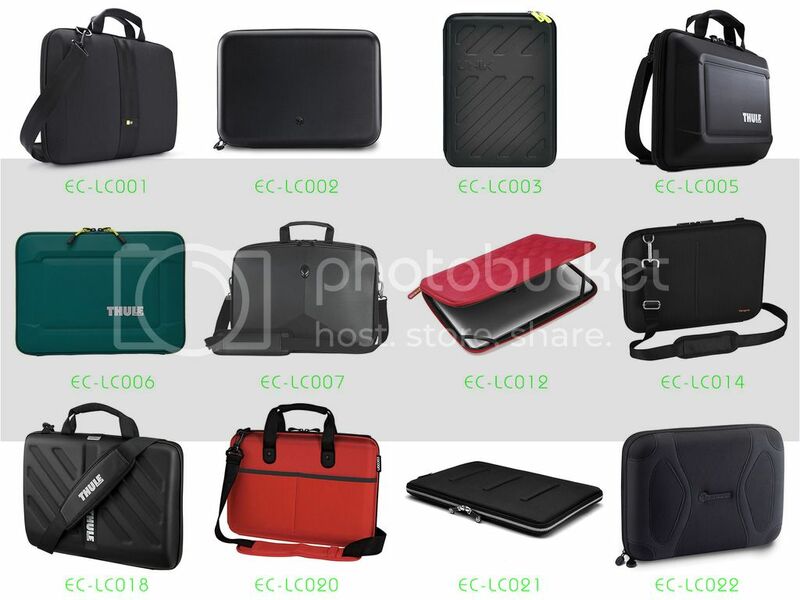 Remarks: we only produce the hard shell laptop bags and cases for our clients, other items in the images are not included for sale!